At Boone’s school this year, the theme is TRY. Try something new. Try if it’s hard. If at first you don’t succeed… you get it. Boone brought home a “Try” worksheet yesterday that he had to fill out with his own personal “try” goal. It broke my heart because that would be my “Try” goal too. But I wouldn’t decide on that goal until I had thought about how to add more exercise into my life, how to eat healthier, how to stop loving tortilla chips and beer at the end of a long day, how to organize a closet more efficiently. I would have all of these little improvements overwhelm my brain until I screamed in submission, fine! I’ll just do EVERYTHING BETTER! I can go to bed at night after a full and wonderful day of healthy choices, productive housework, and important self-care time and still berate myself for not finishing that load of laundry in the dryer. It’s not healthy. It’s not right. And it’s exhausting. During my social media fast, I found the times when I was most tempted to idly scroll through news feeds and pictures would be when I was overwhelmed with all the little things I just wanted to do better. It was an escape, a way to take the pressure off, if only for a moment. But the point of the fast was to replace something — in my case, social media — with a deeper relationship with God. When the demands of my life (the demands I put on myself, mind you) became overwhelming, I couldn’t just ignore them for a while. So I pulled out my Bible, either hard or digital copy, depending on the day. 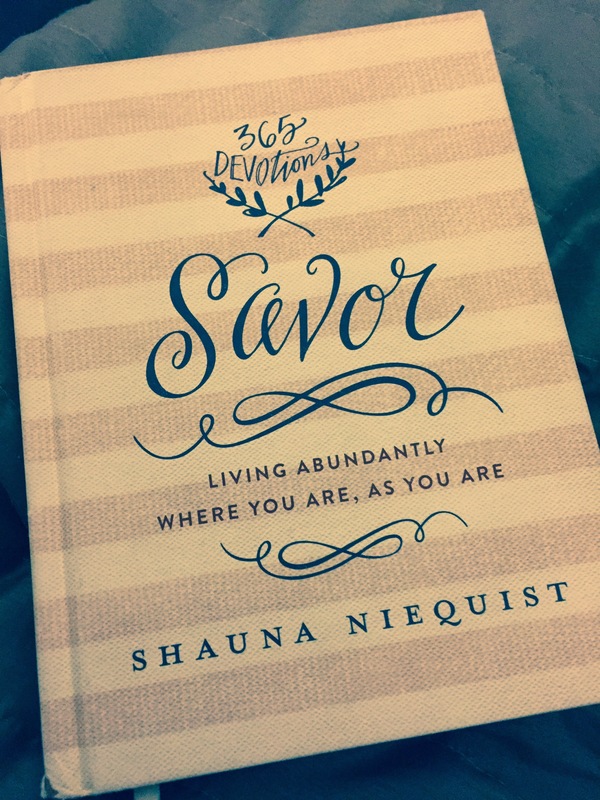 I pulled out Shauna Niequist’s Savor, or a devotional I was working through on my phone. I spent the time I would have spent mindlessly scrolling in the presence of God, and I realized I don’t have to do it all. Free Advertisement: Buy this book. And all of Shauna’s books. They’re just… good. Isn’t overwhelming. And you have clothes enough for now. You need to slow down. Find peace in me, and trust that I will help you do everything you need to do. I feel like when God says “everything you need to do” He literally means “need” and not “what pinterest and facebook and instagram makes you think you should do.” The little nagging voice of mine doesn’t go away. Especially when laundry isn’t done and the floors are covered in popcorn pieces. But I’m learning to try and replace my angry voice with God’s peaceful one. I may not be able to do everything better — but I’m really, truly learning that I might not have to. 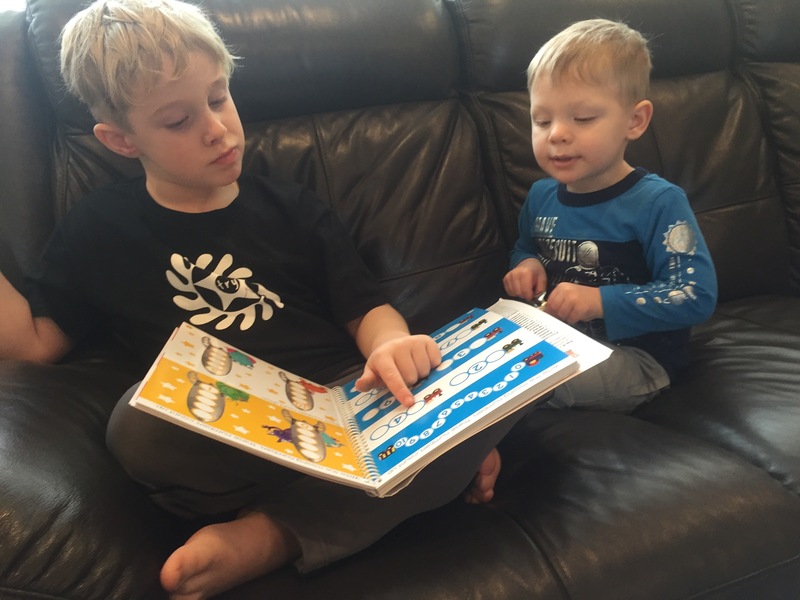 J – I love you (and Boone) and what God is teaching you. And by reading this, He is teaching me too! Ah yes. Thank you for sharing!! !